West Sussex has seen ‘no spike’ in fly tipping since cuts to services at rubbish tips, according to the cabinet member in charge of the portfolio. Locations at Horsham, Billingshurst, Shoreham, Worthing, Bognor Regis, Littlehampton, and Midhurst are now closed for two days a week, the hours of all Household Waste Recycling Sites (HWRSs) have been cut, and West Sussex County Council is also now charging for the disposal of some non-household waste. The cuts have proved highly controversial since they were announced earlier this year, but David Barling, cabinet member for residents services, has committed to a review in April 2017, including a customer satisfaction survey. 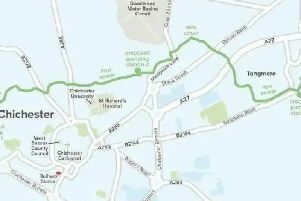 At last Wednesday’s Environmental and Community Services Select Committee meeting, Philip Circus (Con, Storrington) said there had been ten instances of people dumping rubbish in the immediate vicinity of the Hop Oast HWRS near Horsham since the changes were brought in at the start of October. He also raised concerns that reports of fly tipping would go to district and borough authorities and would not be passed on to the county council. He explained contractor Viridor had agreed to collect rubbish dumped in the immediate vicinity of household waste sites. Mr Circus asked if Mr Barling would welcome Government legislation to extend the range of materials for which it was illegal to charge for at civic amenity sites, if ministers also provided extra funding to local authorities. Mr Barling responded by saying that if a ‘fairy godfather’ came along with extra funds they would welcome them, but would be ‘surprised if it happened’. HWRSs at Burgess Hill, Crawley, and Westhampnett, near Chichester, remain open seven days a week as they act as waste transfer stations. • East Grinstead, Littlehampton and Hop Oast (Horsham) are closed on Tuesdays and Wednesdays. • Billingshurst, Worthing, and Bognor Regis are closed on Thursdays and Fridays. • Midhurst and Shoreham are close on Mondays and Tuesdays. Midhurst now to open on Sundays (subject to planning permission). Opening hours in winter (between 1 October and 31 March) are 10am – 5pm. Opening hours in summer (between 1 April and 30 September) are 10am – 7pm. Non-household waste is charged at £4 per rubble bag or part bag, or per item or per sheet of plasterboard.